What makes a perfect vintage VW wedding? Something old, something new and something blue! Well, hiring Lucy – our beautiful, blue Samba VW Splitscreen ticked most of these boxes. 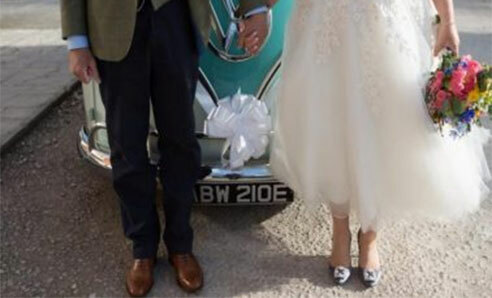 The bride’s perfect pair of wedding shoes, modelled to perfection by our bride Julie, completed the perfect look and the perfect day… Mike’s are alright too! !